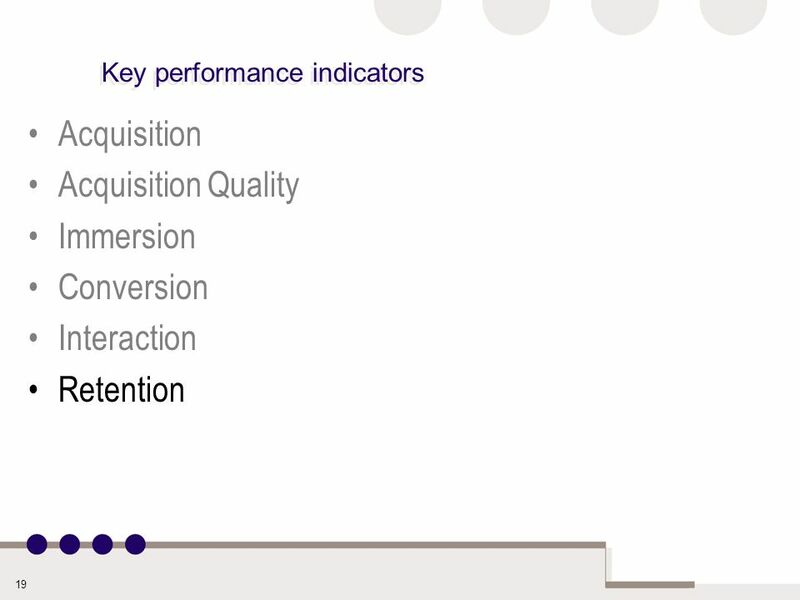 Foodservice Rewards KPI Q2 2010 Update. 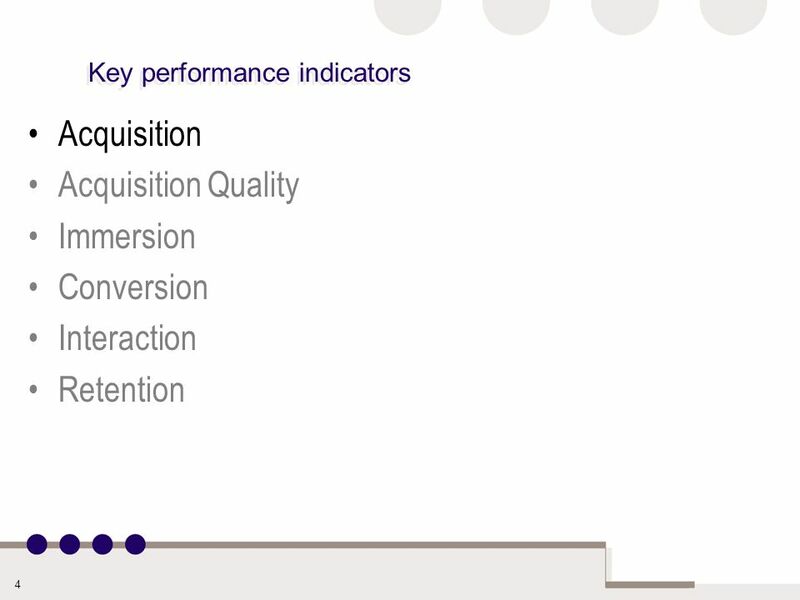 2 Key performance indicators Acquisition Acquisition Quality Immersion Conversion Interaction Retention Customer. 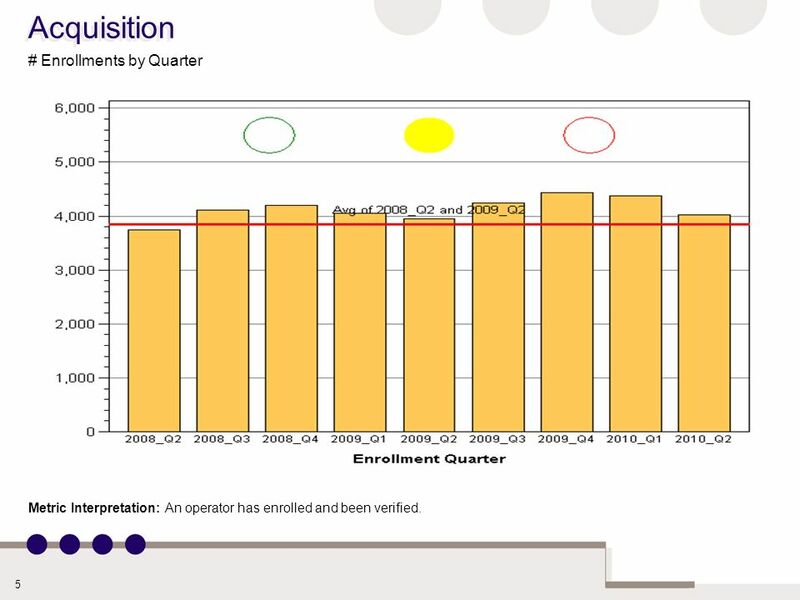 5 5 Acquisition # Enrollments by Quarter Metric Interpretation: An operator has enrolled and been verified. 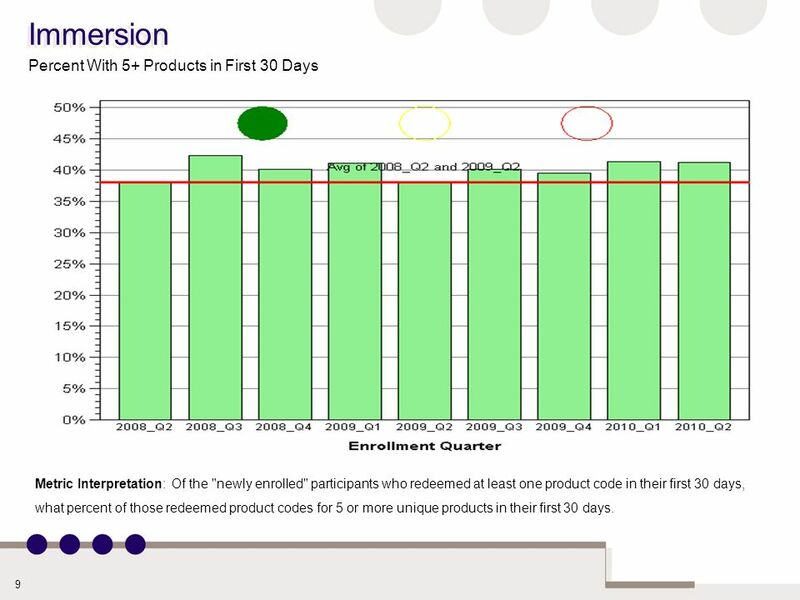 9 9 Immersion Percent With 5+ Products in First 30 Days Metric Interpretation: Of the "newly enrolled" participants who redeemed at least one product code in their first 30 days, what percent of those redeemed product codes for 5 or more unique products in their first 30 days. 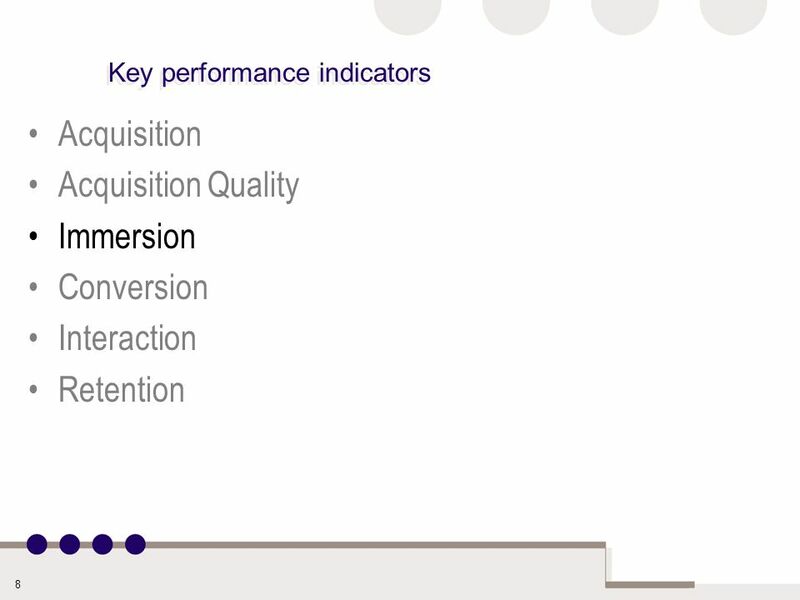 10 10 Immersion Percent With 2+ Sponsors in First 30 Days Metric Interpretation: Of the "newly enrolled" participants who redeemed at least one product code in their first 30 days, what percent of those redeemed product codes for 2 or more unique sponsors in their first 30 days. 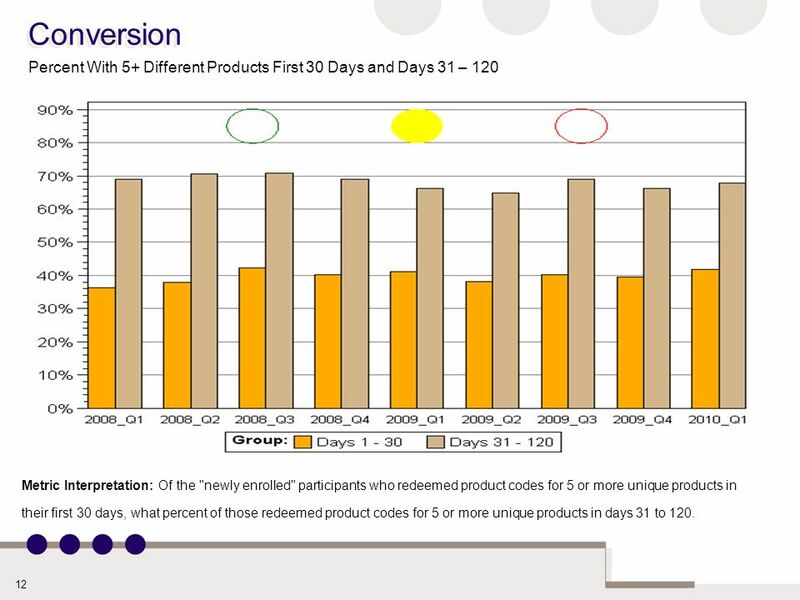 12 12 Conversion Percent With 5+ Different Products First 30 Days and Days 31 – 120 Metric Interpretation: Of the "newly enrolled" participants who redeemed product codes for 5 or more unique products in their first 30 days, what percent of those redeemed product codes for 5 or more unique products in days 31 to 120. 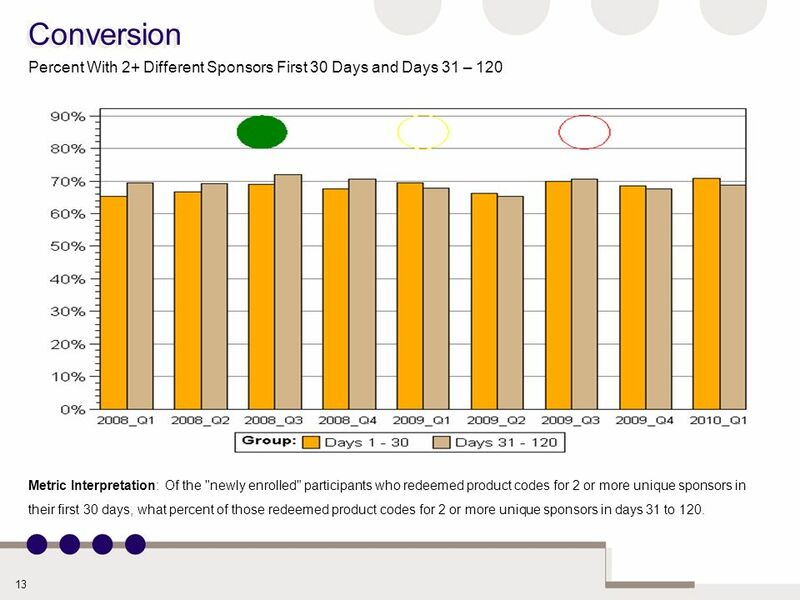 13 13 Conversion Percent With 2+ Different Sponsors First 30 Days and Days 31 – 120 Metric Interpretation: Of the "newly enrolled" participants who redeemed product codes for 2 or more unique sponsors in their first 30 days, what percent of those redeemed product codes for 2 or more unique sponsors in days 31 to 120. 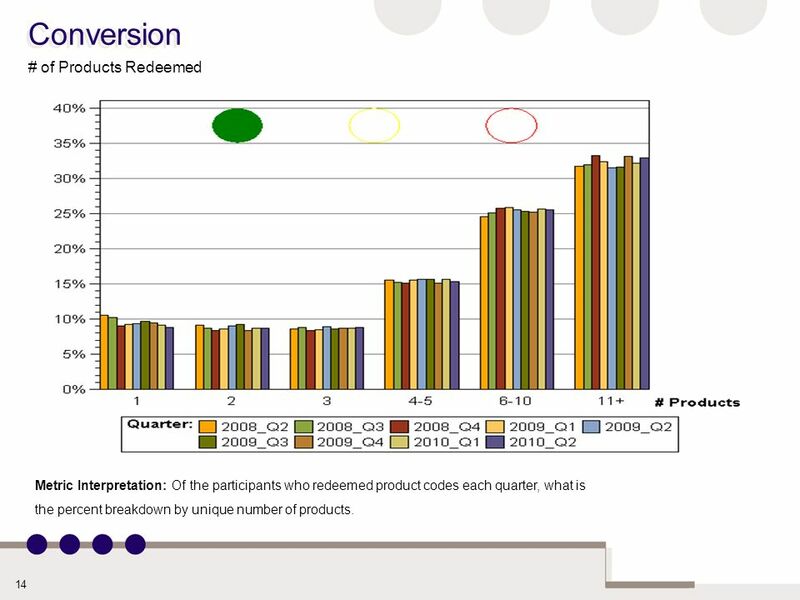 14 14 Conversion # of Products Redeemed Metric Interpretation: Of the participants who redeemed product codes each quarter, what is the percent breakdown by unique number of products. 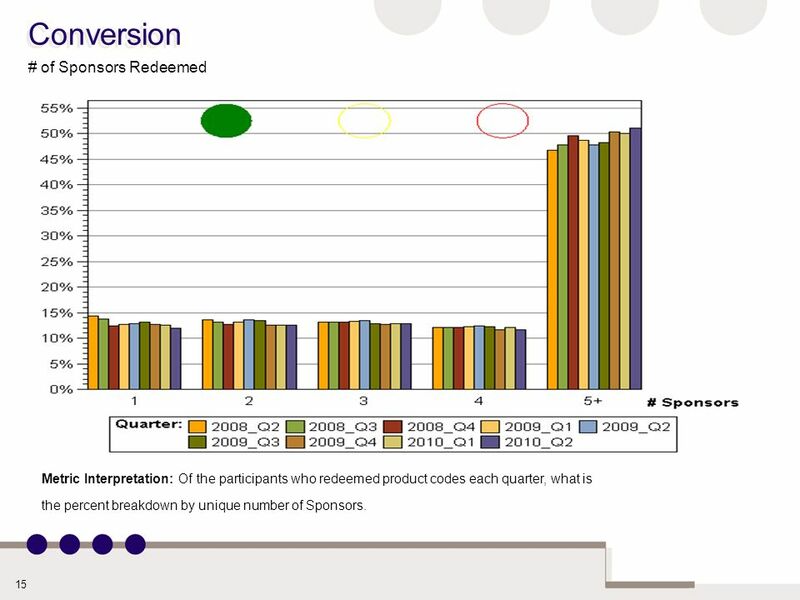 15 15 Conversion # of Sponsors Redeemed Metric Interpretation: Of the participants who redeemed product codes each quarter, what is the percent breakdown by unique number of Sponsors. 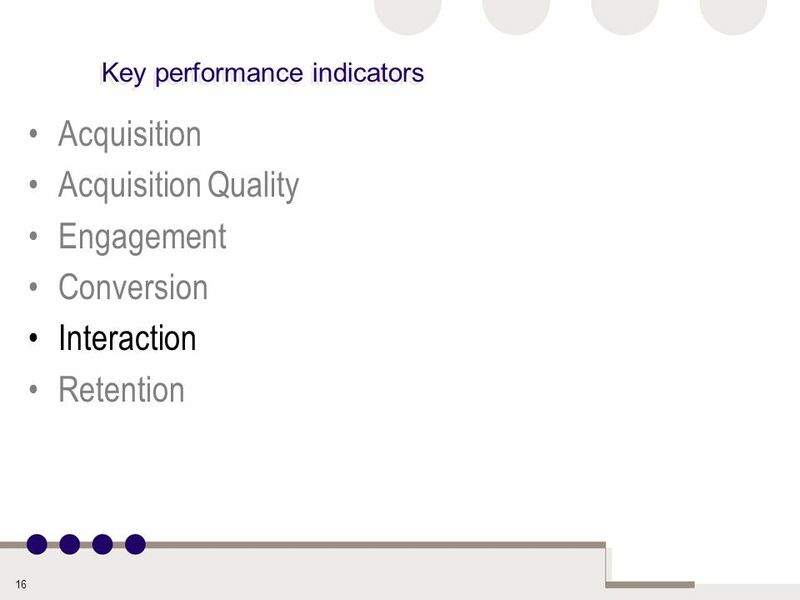 17 17 Interaction Overall FSR Satisfaction Background: An online operator survey was completed in February 2009. 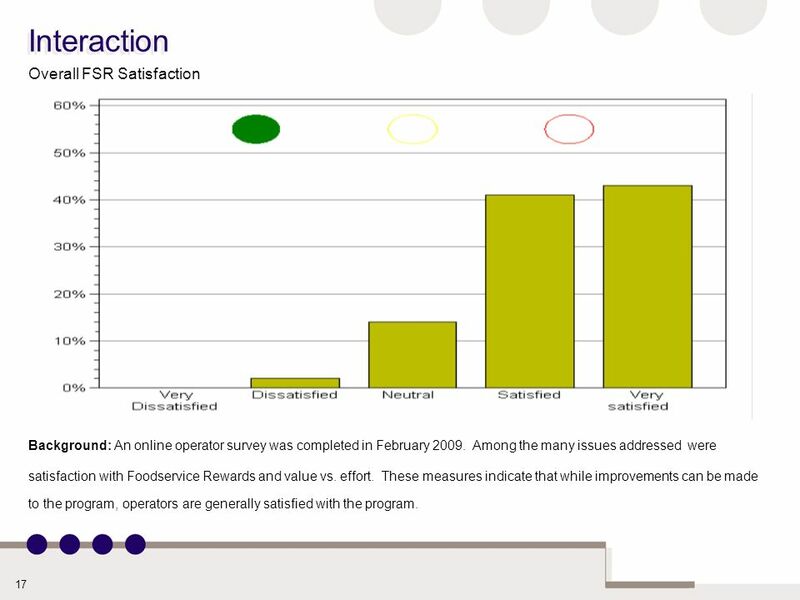 Among the many issues addressed were satisfaction with Foodservice Rewards and value vs. effort. 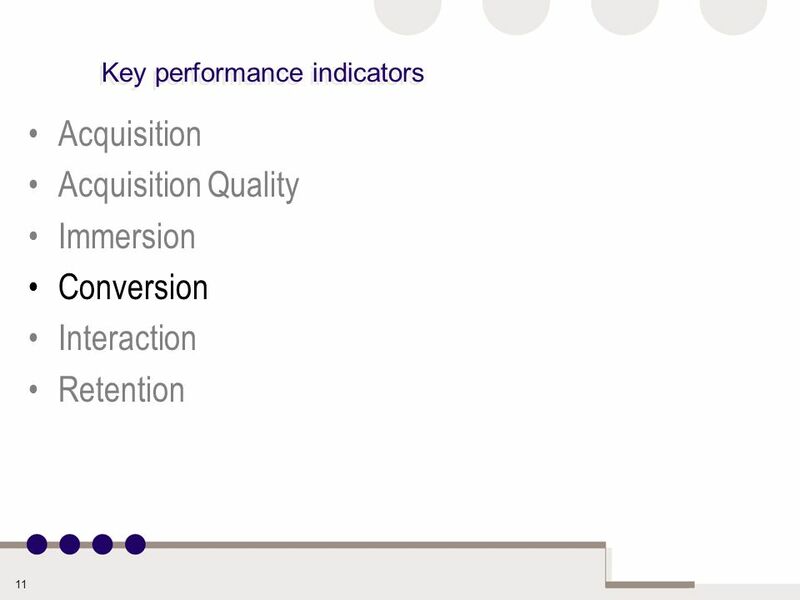 These measures indicate that while improvements can be made to the program, operators are generally satisfied with the program. 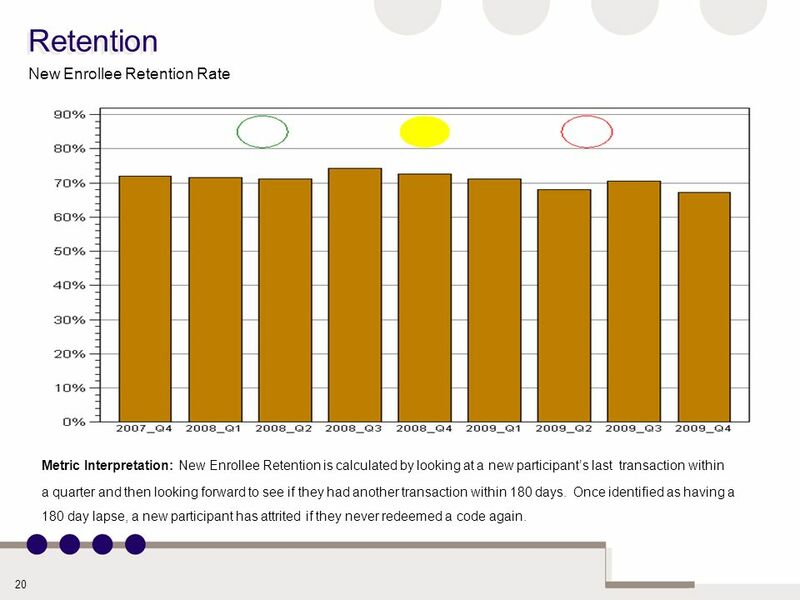 20 20 Retention New Enrollee Retention Rate Metric Interpretation: New Enrollee Retention is calculated by looking at a new participants last transaction within a quarter and then looking forward to see if they had another transaction within 180 days. 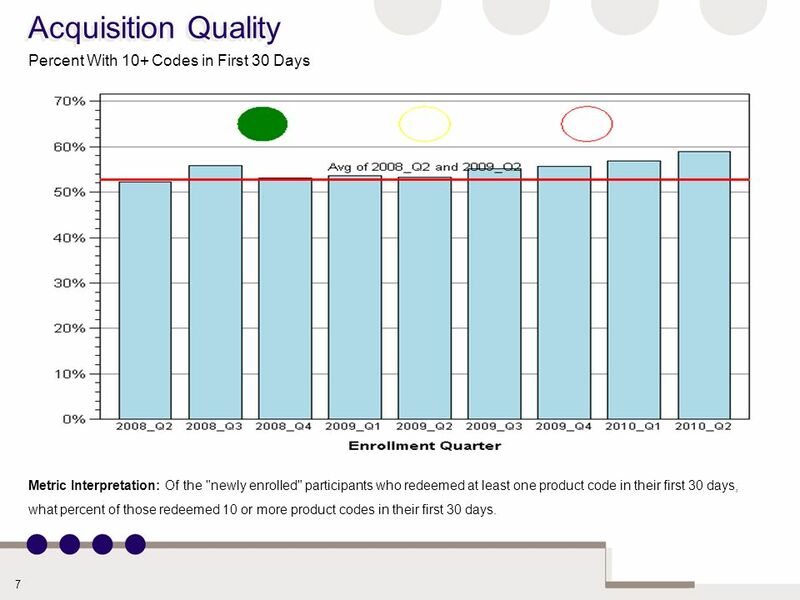 Once identified as having a 180 day lapse, a new participant has attrited if they never redeemed a code again. 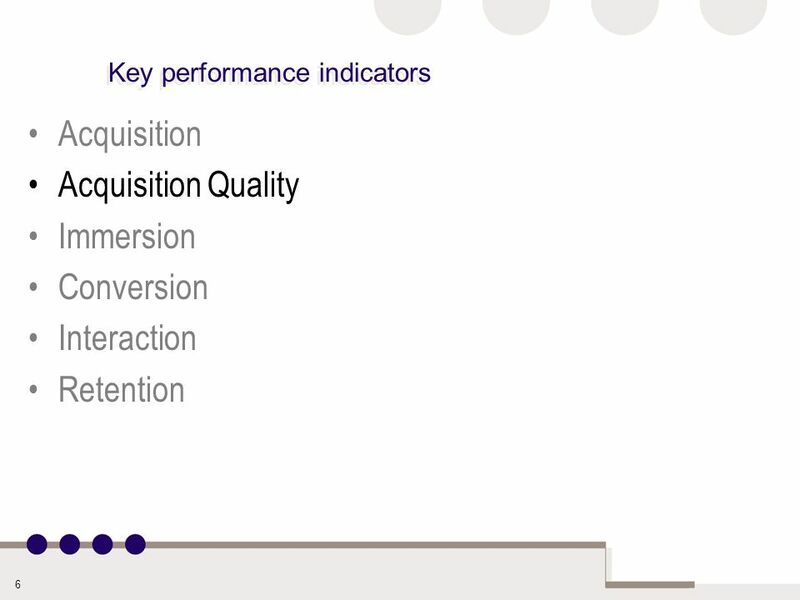 21 21 Retention Retention vs Attrition Metric Interpretation: The Quarterly results include Retention results for participants that Transacted in the Quarter and Attrition results for participants that Attrited in the Quarter. 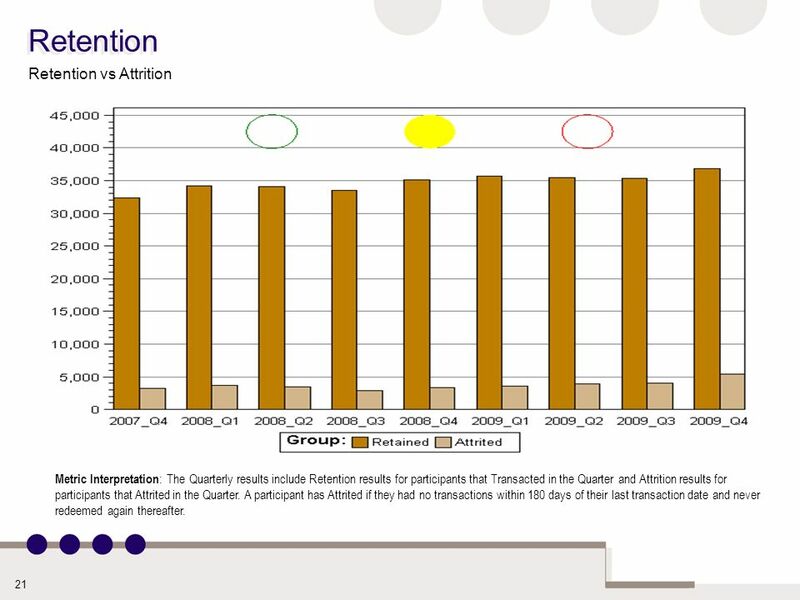 A participant has Attrited if they had no transactions within 180 days of their last transaction date and never redeemed again thereafter. 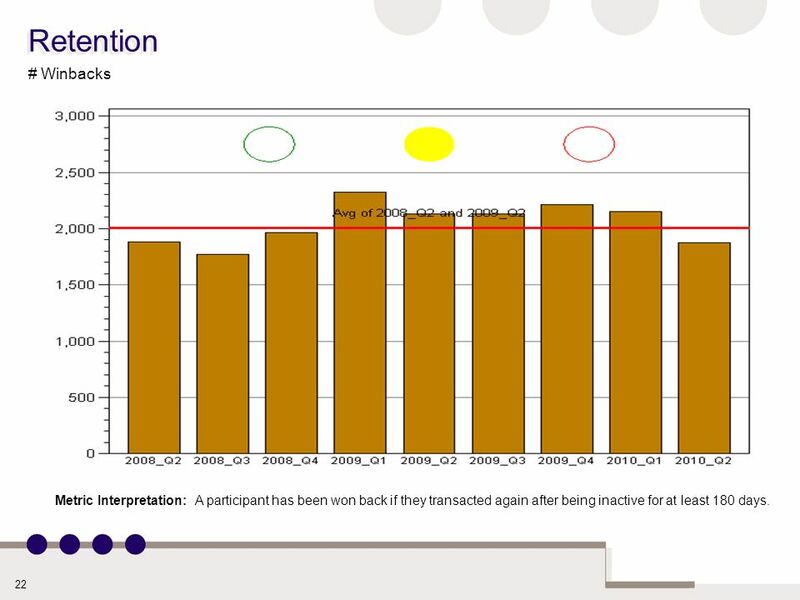 22 22 Retention # Winbacks Metric Interpretation: A participant has been won back if they transacted again after being inactive for at least 180 days. 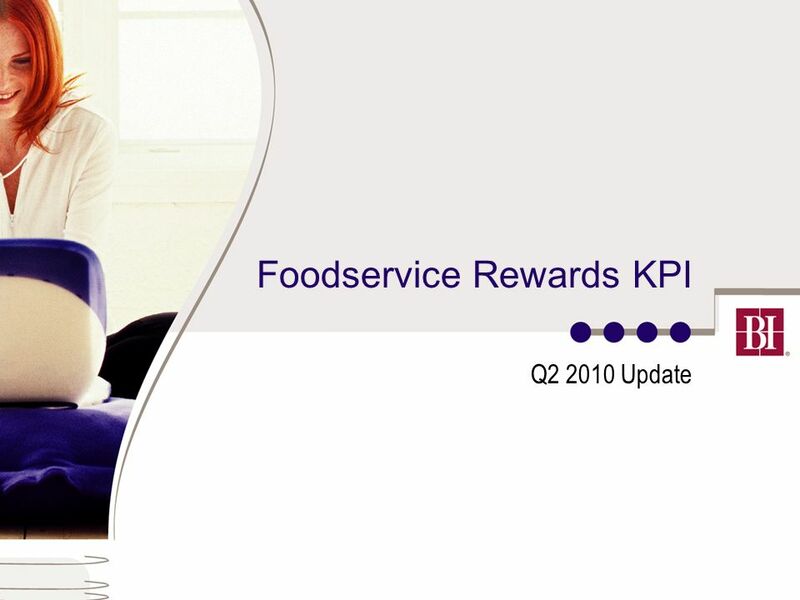 Download ppt "Foodservice Rewards KPI Q2 2010 Update. 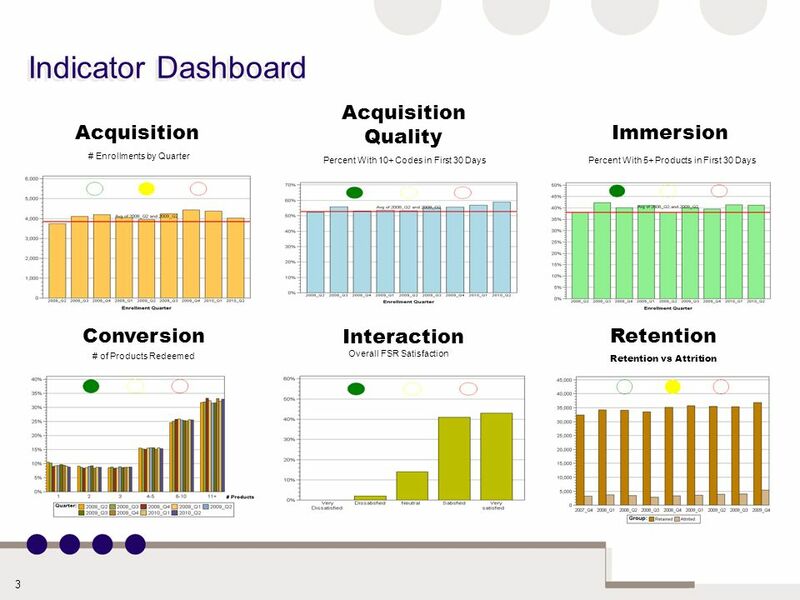 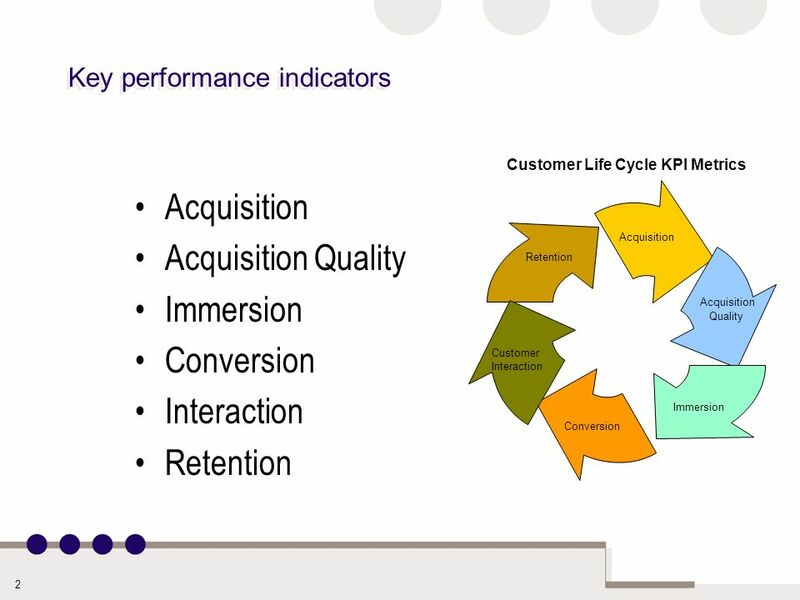 2 Key performance indicators Acquisition Acquisition Quality Immersion Conversion Interaction Retention Customer."